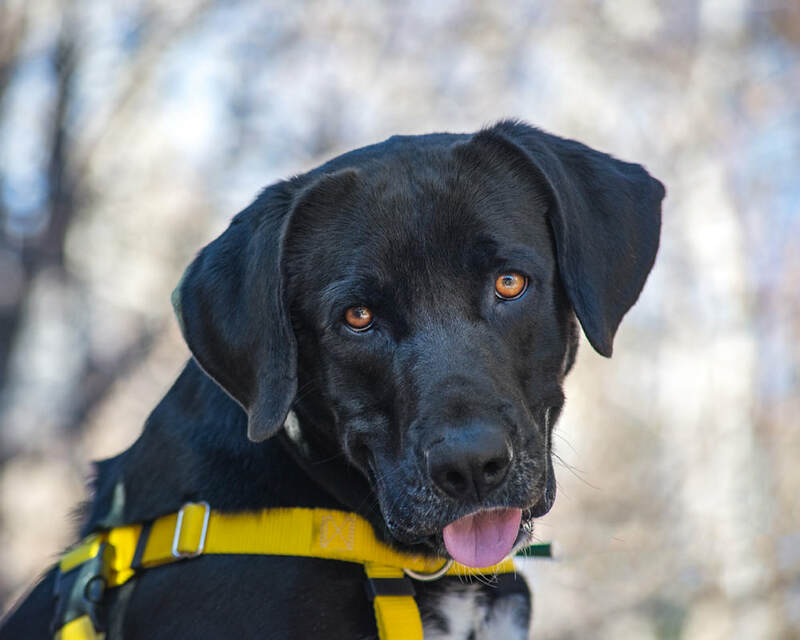 "Zeke is a handsome Lab mix with a silky black coat, long lanky legs and soft ears. He is 1-2 years old and weighs about 65 lbs. This hunk-of-pup enjoys hikes, playtime with other dogs, lots of time with his humans and learning new things. When he is running and playing, he has a happy smile that makes everyone smile around him! Zeke is healthy, housetrained and likes to snuggle on the sofa, dog beds and be near his people." Do you think we might be a great match? If so, you can find out more about me and/or apply to adopt me by going to the top toolbar, then click Adopt, then click Dog Application; and fill it out and send it in. A nice volunteer from Summit Dog Rescue will get back to you as soon as they can.